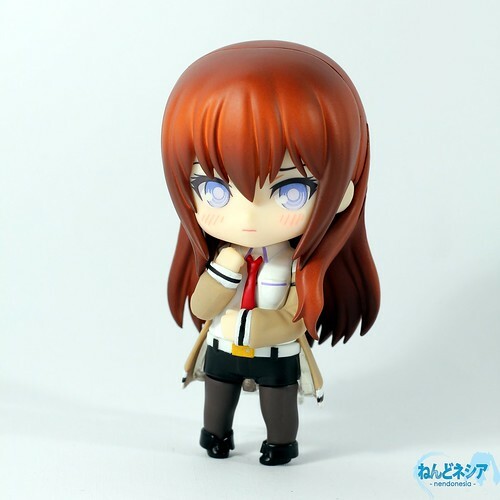 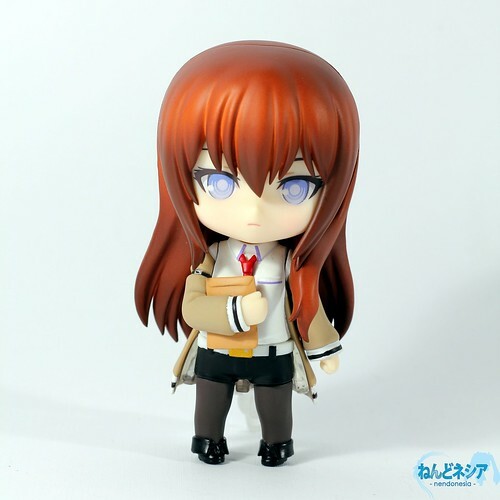 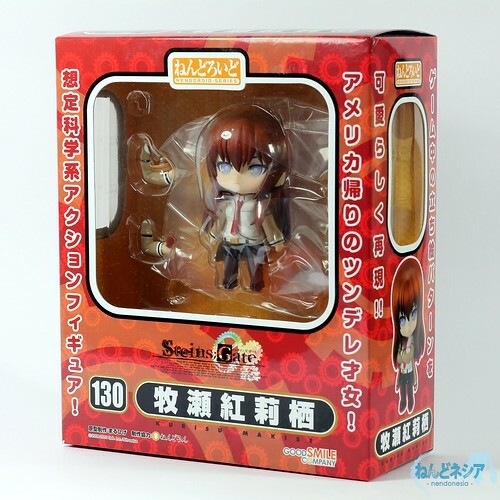 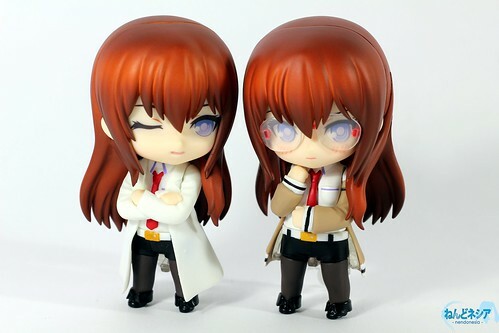 Nendoroid Makise Kurisu was originally released on January 2011 when the TV animation of Steins;Gate began airing. 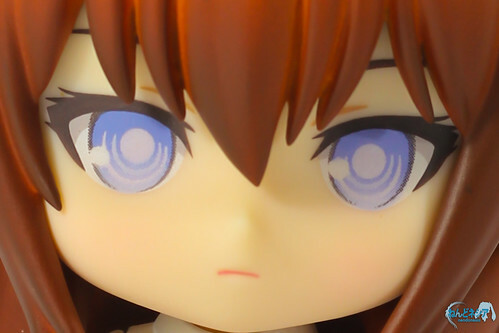 She was then re-released just in time with Nendoroid Shiina Mayuri‘s release on September 2011. 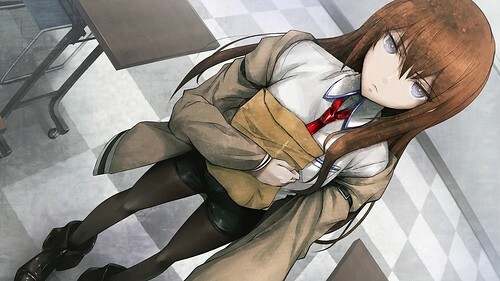 The red-ish brown color, combined with the gear patterns are suitable enough to display Steins;Gate‘s theme. 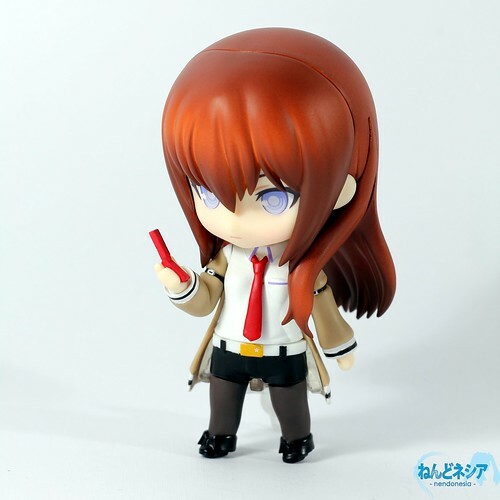 Well then, here is my score for Nendoroid Makise Kurisu. 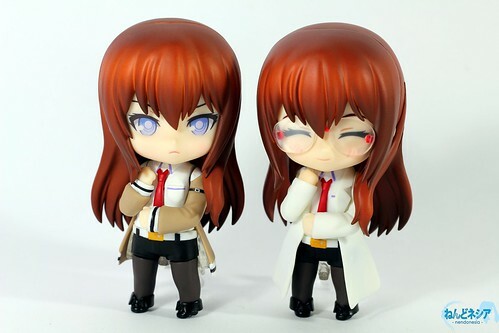 Design: 8 / 10 – The original character design by huke is really implemented well into the Nendoroid design. 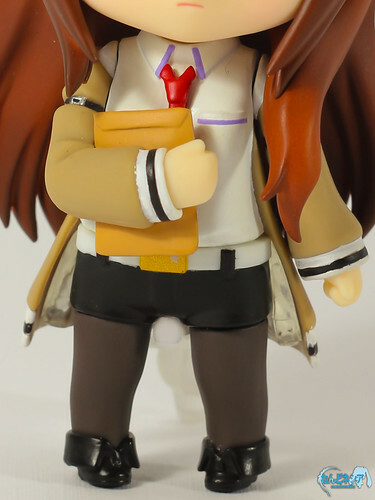 Playability: 7.5 / 10 – The included classic stand type is suitable enough with this technique, but they should have included a few extra legs for more pose variations. 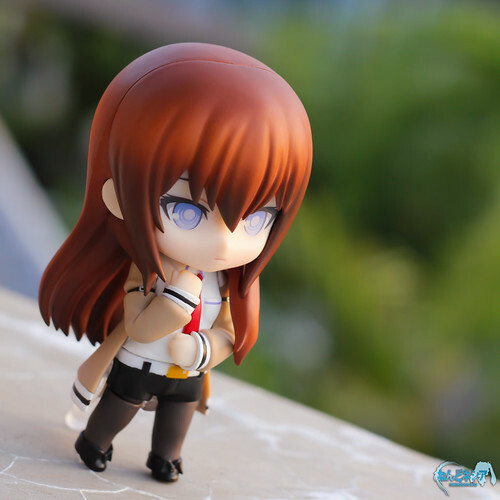 Price: 8 / 10 – Her pricing is arguably cheaper than most of her other Nendoroid buddies. 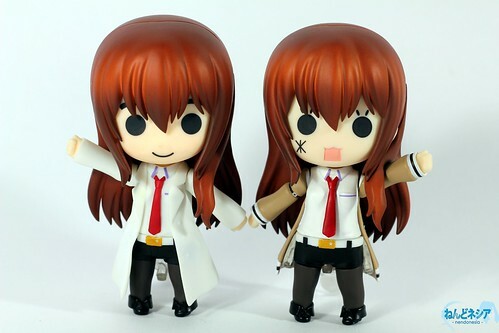 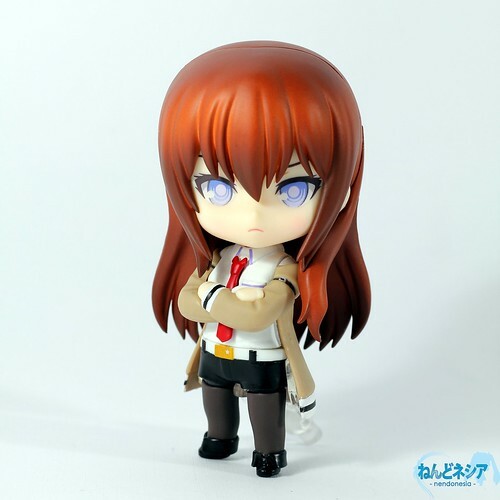 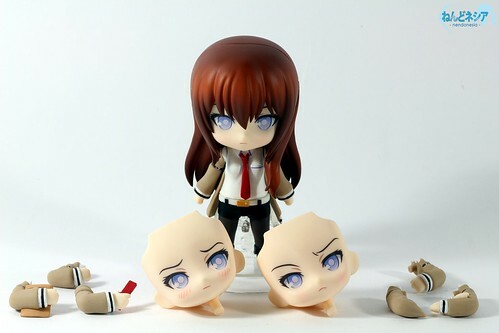 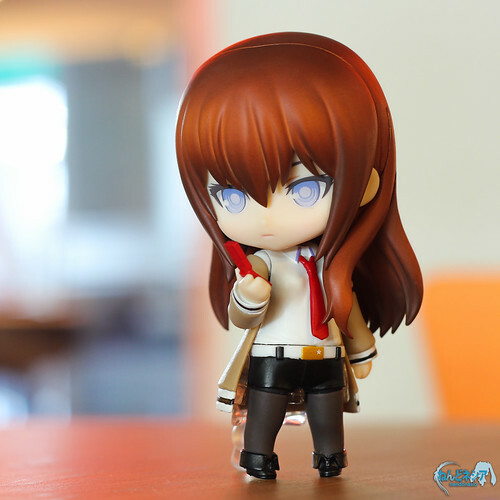 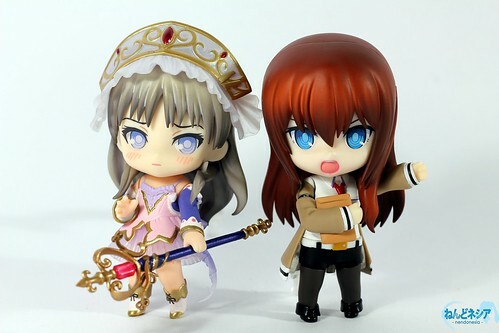 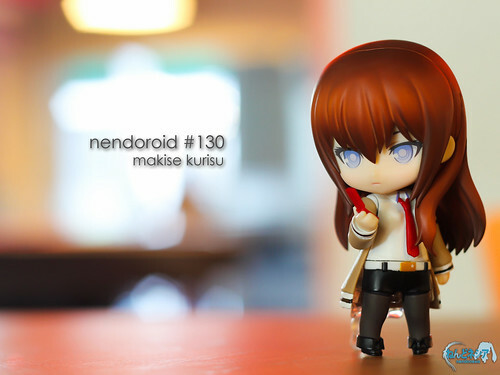 This entry was posted in Review and tagged makise kurisu, nendoroid, steins gate.